My cupboard and I had a slight disagreement this morning. Apparently it didn’t want to be the freezer. See, I wanted to grab food to microwave for lunch, but the dish cupboard refused to yield anything food-like … cold or otherwise. I believe it may have been smirking at me behind my back too as I made an about-face and headed to the white “thingy” that contains cold and frozen stuff. Food namely – and thankfully no ice build-up like the old days. I go to this white box many times a day to drink refreshing, cold, filtered water from its dispenser. I also occasionally visit it for frozen foods to toss out on the counter to defrost for dinner – usually. The other side is helpful for keeping my yogurt cold and all the eggs and cheese and juices. Somehow, I know where and when to put these items when I come home from the grocery store, but retrieving something from here has become an issue. I do, on occasion, attempt to grab the handle of the frig when looking for a pencil…or my glasses. I don’t actually have to open it though to know I’m in the wrong place. Apparently I had it scarred into my head at a very young age – “Don’t stand there with the refrigerator door open all day” – so I don’t open it. I appear confused more than usual today as I’m trying to track down paperwork from the entire YEAR to get ready for doing the tax forms. I feel like a complete failure today as a perfectionist. There, I said it. I’m a failure. My paperwork has been gathering in piles and wouldn’t you know… I need it now. Because if I wait any longer, I’m going to lose whatever is left of my sanity. I’m also, at this moment, running some laundry, dictating housecleaning instructions and I’m nutrionally deprived and over-stimulated with caffeine! 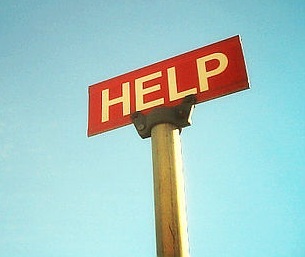 I’m 46 years old and I need help. There, I said it, I’m 46. I have been reading a book about brains and memory that is quite interesting. I highly reccommend it because it’s written in layman’s terms by some really fun and nerdy people – complete with a Ph.D. at the end of their names. 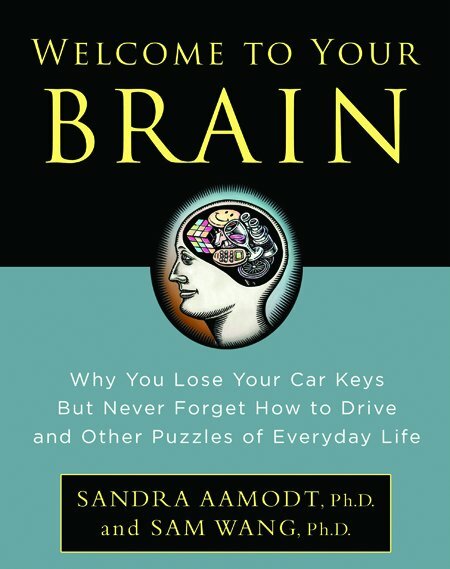 It’s called “Welcome To Your Brain.” Subtitled appropriately “Why You Lose Your Car Keys but Never Forget How to Drive and Other Puzzles of Everyday Life.” Now, I haven’t read ALL of it, but it’s written in an excellent format that you can just pick it up and continue whenever it’s convenient. It’s good enough too, that you can re-read the parts over again if you forgot what the blazes you read last! Well, I’m done playing on the blog for the day… I believe I’m going to rediscover my pile of papers and take the family out for a movie. Thankfully, I know where my car keys are AND I remember how to drive … Whew! I so LOVE your writing. I acquired a laugh out of this one, for sure. And, um, at 41.5, me thinks it’s time to buy that book and start reading it. Maybe it will shed light on why my reading glasses are in the silverware drawer???? And if you are slightly nerdy, you’ll love it. Nerdy is awesome ; ) People are just catching on to how great it really is!